Chancel Choir is the 45 voiced SATB (soprano, alto, tenor, bass) choir that helps lead worship in our 9:00 AM traditional service. This choir regularly performs anthems and offertories from a wide variety of musical styles. They have performed works by the masters such as Handel, Bach and Faure, and are equally accomplished in gospel and contemporary styles. Chancel Choir rehearses on Wednesday nights from 6:30-8:00 PM in our sanctuary. We are a very welcoming groups and would love to have you join us! 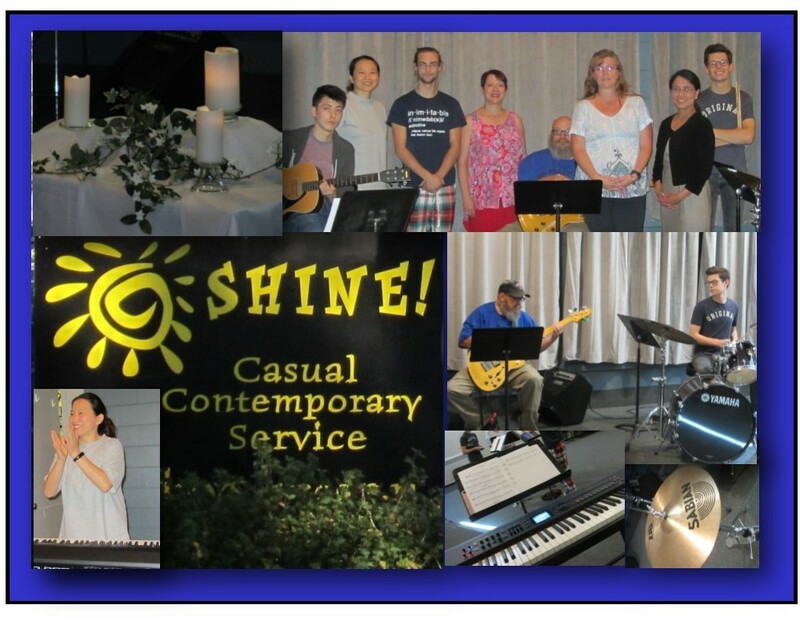 The SHINE Praise band provides the music for the Contemporary SHINE Service. The Praise band generally practices one evening a week in Fellowship Hall. Contact the office for current time. 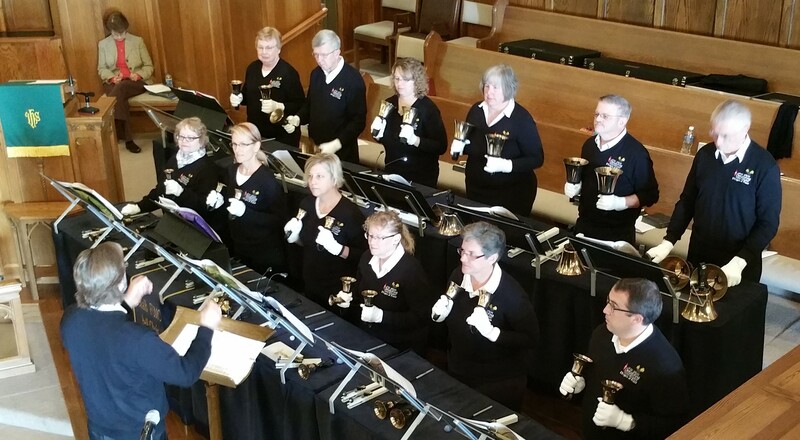 The Handbell choir practices on Sunday at 10:20 am. They play in service about once a month. If you’d like to try it out, just stop by or contact our music director, Dr. Eric Johnson. The Celebration Chorale is a community-wide interdenominational chorale that performs 2 times a year. They meet on Wednesday nights at 8:00 p.m., generally in the sanctuary. No audition required.